Argentine Horse at a Mexican Carnival. 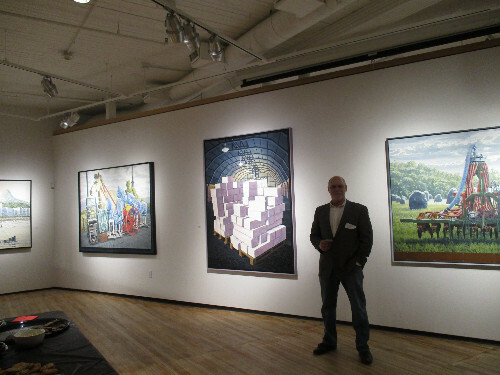 View of the artist in his exhibition by Pennie Brantley. Pennie Brantley and Robert Morgan. Giuliano photo. 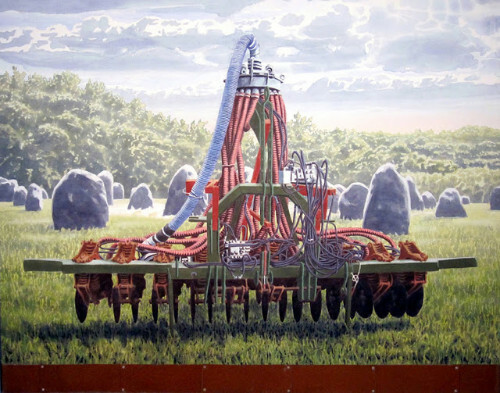 For a winter weekend we headed north to attend the opening of Robert Morgan's mimesis evoking special exhibition "Large Watercolors" at the spacious and dynamic AVA Gallery and Art Center in Lebanon, New Hampshire. We have been fans of Morgan and his artist wife, Pennie Brantley, for a number of years. Some time back they showed their approaches to realism in a lively and well attended exhibition at the Eclipse Mill Gallery in North Adams, Mass. Residing in Peterborough, New York they are within striking distance of the Northern Berkshires. Actually the exhibition in New Hampshire is one of two currently for Morgan. The other is in Pennsylvania. 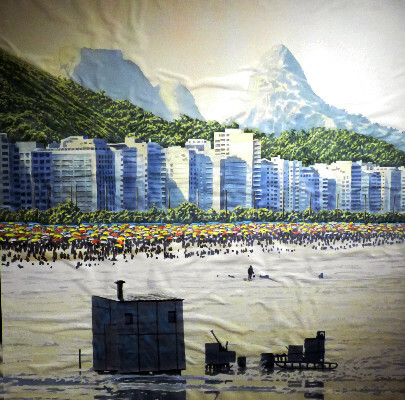 There are seven large format works at AVA and six similar works in the other exhibition. One generally thinks of watercolor as a medium for sheets of Arches paper. Morgan bypasses the conventional by creating large and at times epic scaled works. In the Eclipse exhibition, for example, I recall vividly a bucolic, mural-scaled landscape featuring a near life sized grazing cow. Collaging elements of both cut out shapes and disparate materials the works on paper are framed without glass. To protect the surfaces the artist applies reversible varnish. By not including glass we are able fully to appreciate the matte, saturated color that is absorbed into the support. While the work is representational, ranging from landscapes to still life compositions, it tilts toward the surreal. One thinks of the approach of Magritte. 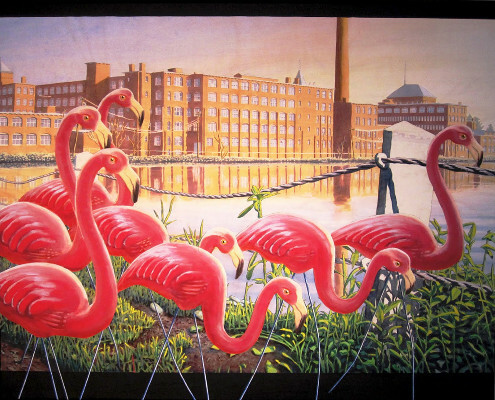 What, for example, are those pink, flamingo lawn items doing in the foreground of a rendering of a factory? I asked Bob if perhaps it suggests that, back in the day, the landmark Waltham Watch factory employed Italian Americans? In a statement Morgan writes "In this body of work viewers are encouraged to participate as an 'absent presence.' The large scale and sensuality of the medium draw the viewer into each staged situation. The objects or people are placed in multi-layered and sometimes ambiguous settings, reminiscent of stage settings where symbolic levels are presented to the audience using backdrops. The viewer may experience an emotional potpourri, and the makeup of the experience may vary depending on the individual's base associations with the symbols." There is a zig and zag of elements in the images. Inspired by objects or an intriguing subject there is often a deft relocation of locus. Frequently this entails where the artist is residing and working at the time. Sites from Europe and Argentina are as likely to show up in the work as elements observed in and around more mundane Waltham, where the artists resided for many years. 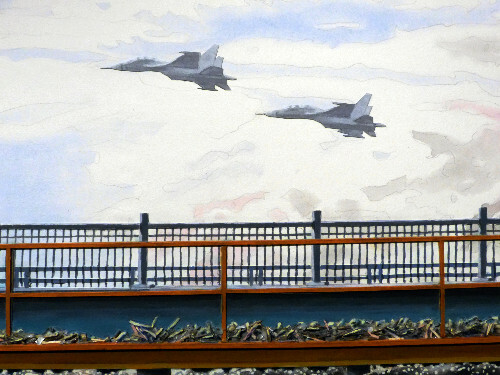 Above a horizontal view of a flooding river in Waltham are two military jet planes. As is often the case in his provocative approach one considers the semiotics of that post modern juxtaposition. There is a legerdemain twist in his approach. Most viewers will be content with the level of astute representation. Because what is seen appears to be real the assumption is that it is simply a simulacrum. More often than not that's just not true. There is a playful sense of bait and switch as what we think we see indeed may not be. A case in point is the amusing conundrum of a horse seemingly bound together with wrapped elements that may comprise a carousel. But we encounter the elements disassembled and arranged in a manner that in the construct of Susan Sontag is against interpretation. 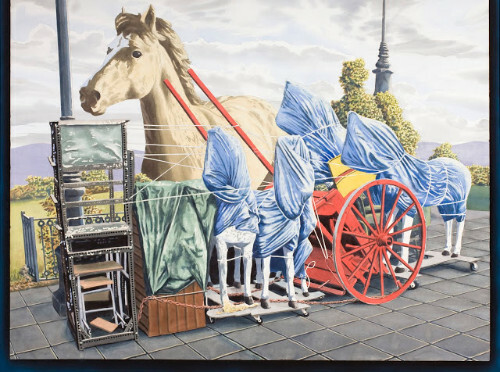 It is yet another signifier of post modernism in which an artist takes a traditional approach to depiction, rendering and technique but with variations that flip it on its head. The viewer wonders what the heck is this all about? It provocatively makes the work both immediately accessible and delightfully oblique. As Magritte put it in an iconic work "Ceci c'est ne pas une pipe." Now take that and smoke it. "Trying to reach Bobby. Steve Murillo and Jon Dunn"
"Robert, you are so talented!" "Great article and I was so tickled that he mentioned your show at the mill when we played for you. I have such wonderful memories of that day. I would love to come to another of your shows ( as a viewer). I am so glad to be connected with you here on face book! 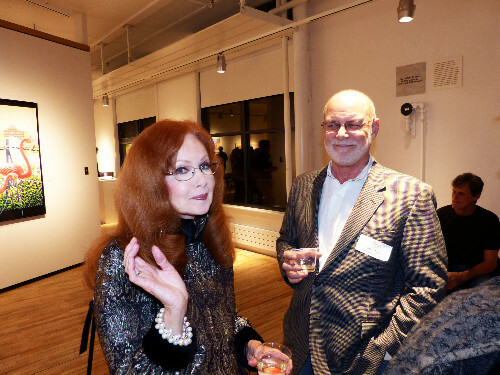 xo Lisa"
"An excellent review of a wonderful exhibition of Robert Morgan's paintings."